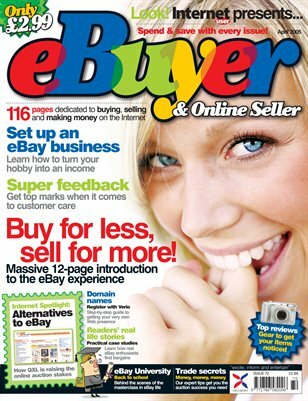 eBuyer & Online Seller was a practical guide to eBay and various other online auction sites. Developed under the name of eBay World, it became eBuyer when the powers that be decided an eBay licence may have been required to use that title. This is the first such issue of eBuyer. It's here for historical interest; no other reason. The information is out of date but still the advice is sound.